In this fifth concert of The Incense of Music we present the ANITRA – Trio in a live music concert entitled “The many Encounters between Violet and Yellow”. Felix Heim (N) on drums, Anatole Buccella (CH) on fender bass VI and Moritz Köther (G) on alto saxophone. Improvised music influenced by different backgrounds, homelands and ANITRA – in interaction with the galleries exhibition and with the two fragrances burnt in different sets. 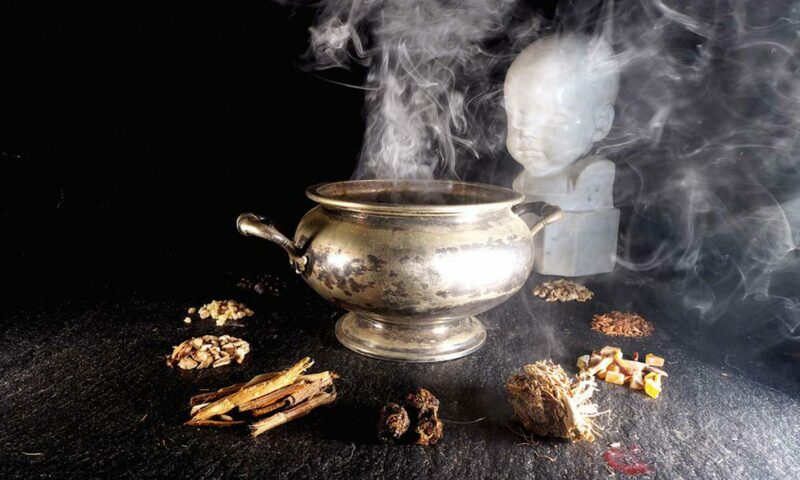 Incense is used for a variety of purposes, including ceremonies in all the major religions, spirituality, aromatherapy, meditation and for simple pleasure. Fragrances appeal on the most neglected sense of modern times: the olfactory. Fragrances affect the human spirit, influence its perception, open new experiences. These qualities suggest to combine this ancient art, present in any culture, with music and visual arts in a synesthetic project between seeing, listening and smelling, enhancing the sensory experience created from the convergence of images, scents and sounds in the brain. 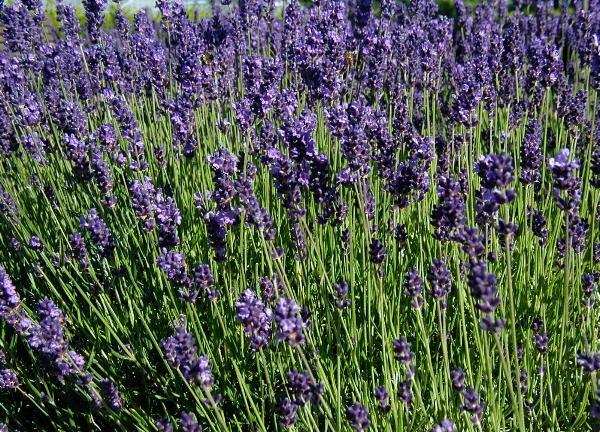 Lavandula (common name lavender) is a genus of 39 known species of flowering plants in the mint family, Lamiaceae. It is native to the Old World and is found from Capo Verde and the Canary Islands, Europe across to northern and eastern Africa, the Mediterranean, southwest Asia to southeast India. Many members of the genus are cultivated extensively in temperate climates as ornamental plants and landscape use, for use as culinary herbs, and also commercially for the extraction of essential oil. The English word lavender is generally thought to be derived from Old French lavandre, ultimately from the Latin lavare (to wash), referring to the use of infusions of the plants. 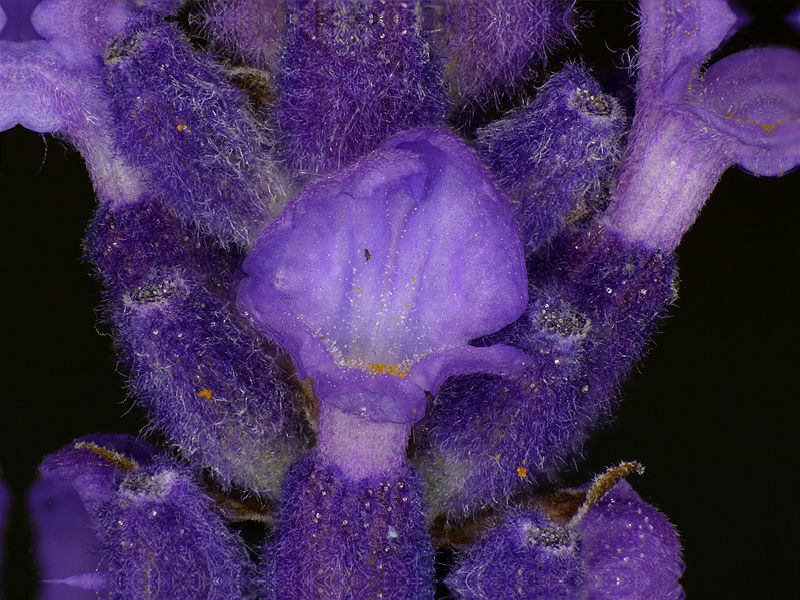 The most common form in cultivation is the common or English lavender Lavandula angustifolia. Lavenders flourish best in dry, well-drained, sandy or gravelly soils in full sun. All types need little or no fertilizer and good air circulation. English lavender yields an essential oil with sweet overtones, and can be used in balms, salves, prfumes, cosmetics, and topical applications. The plant is as well used as a condiment in the kitchen and as a herb in medical treatments having an anxiolytic effect and influence in sleep quality. Lavender was one of the holy herbs used in the biblical Temple to prepare the holy essence, and nard (‘nerd’ in Hebrew) is mentioned in the Song of Solomon (4,14). Boswellia rivae (also known as Ogaden frankincense) is a tree in the Burseraceae family native to Ethiopia, from which frankincense, a resinous dried sap, is harvested. This species of Boswellia is a small deciduous tree, which reaches a height of 2 to 8 m (6 ft 7 in to 26 ft 3 in), with one or more trunks, tolerates the most critical situations and is often on rocky slopes and ravines, up to an altitude of 1,200 m, mostly in calcarreous soil. Frankincense is mentioned in the as one of the three types of gifts the wise men gave to the young baby Jesus of Nazareth and has been traded on the Arabian Peninsula and in North Africa for more than 5000 years. It is often used as an overall health tonic, as it offers benefits to all of the body’s systems. It promotes relaxation by helping to open airways and is connected to feelings of mental tranquility, making it an excellent fragrance to use for meditation and spiritualit activities. 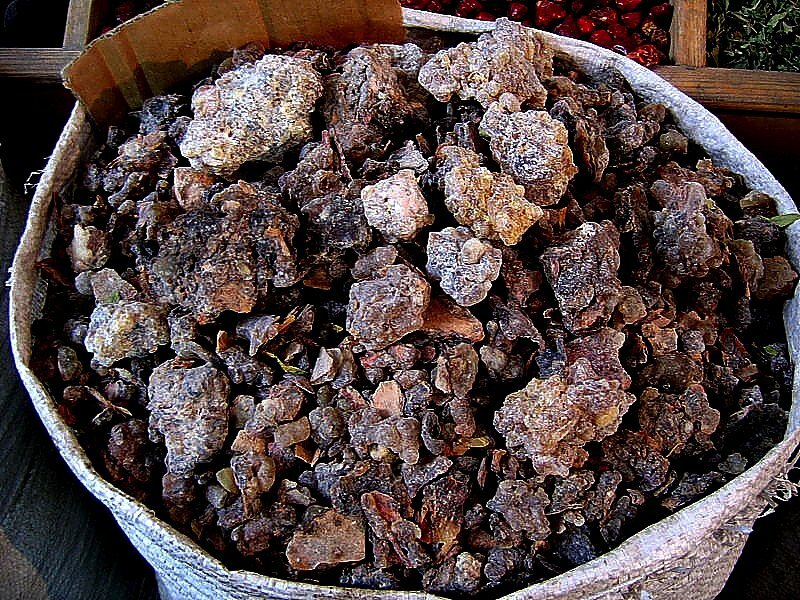 The frankincense we will use for the evening comes from a direct import via Addis Ababa, where it was bought in a open air market. The resin is mixed with barks of wood and emits a surprisingly rich gamma of different scents, one of the best frankincenses I have ever smelled. ANITRA – TRIO. Plays improvised music coming from a background of jazz. They draw their inspiration from ANITRA, a purely fictive figure, an idol maybe, free of gender or certain religion, an aesthetic, a global citizen and to them some kind of guide. The half acoustic trio consisting of Moritz Köther (G) on alto saxophone, Felix Heim (N) on drums and Anatole Buccella (CH) on fender bass VI formed 2014 in Stockholm during studies at the Royal Collage of Music and in fact it was a peculiar interest in interdisciplinary encounters, that brought them together – works with dance, paint, and lately incense burning. Jamming with the senses and finding other ways of performing, with a focus on improvised moments. Moritz Köther, born in Hannover (1986) / West Germany, raised in Berlin. Right after birth one year in Australia and New Zeeland due to parents wish to escape the German separation. Need of escaping separation then follows into musical life. Music studies at Jazz – Institut Berlin, Universität der Künste Berlin and Royal Collage of Music Stockholm. His musical quests lead him to Gamelan, African drumming, classical Turkish and Balkan music. Travels to China, India, Africa and in Europe and spends one year in Stockholm, Sweden 2014/15. His drive makes him discover contemporary dance and choreography as well as painting and now has a special focus on these transmedial encounters in improvisational contexts. Anatole Buccella: I was born in 1993, started to play guitar ten years after. Seeing that I was practicing a lot and improving fast my teacher decided to have private lesson with me. I played regularly in several formations since I’m able to hold a riff and take a solo, moving from rock to funk and, off course, landing to jazz… At the age of 18 I started the Hochschule der Künste Bern, and graduated three years after. I’m now finishing an international performance master (NoMazz) moving around the countries of scandinavia. Felix Tvedegaard Heim, born and raised in Bergen, Norway. Son of two cellists from Munich, Germany and Denmark. Started playing classical piano at the age of eight and switched to drum set as a twelve year old. Started out playing 60’s and 70’s rock/funk with friends in school – live also. Gradually got into heavier rock genres parallel to discovering fusion and the virtuosic aspects of drumming. I had private teachers for some years and played with friends, but it was not until university level that I started studying music in school. Since then I have been playing more jazz and taking up piano playing again. I have been playing live on a regular basis since I started my bachelor at the Grieg Academy in Bergen in 2011 up until my graduation from Stockholm this year.